Based on our 2016 matric pass rate of 85%, the benchmark for our matric cohort is now set to achieve above this record. 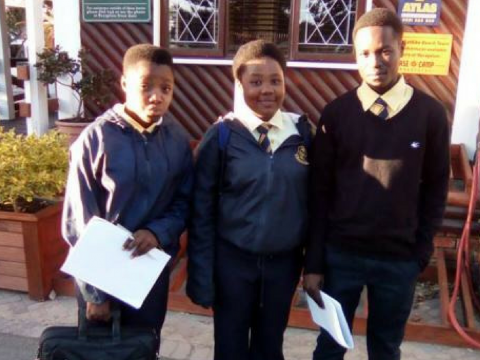 Ikageng’s 2016 matric results recorded a whopping 85% pass rate. 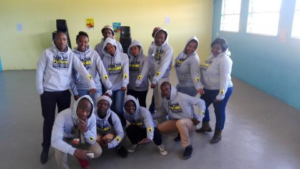 To sustain the branch’s positive matric results momentum, since the beginning of the year, the branch has been striving to Paying It Forward by hosting a number of career guidance sessions, matric induction into tertiary applications and placement information, mentoring sessions, and stress relief workshops for our current matric cohort. During this term, our tutors have been available for the learners throughout the week from Monday to Saturday assisting them to review all school content covered from the beginning of the year, also in answering previous exam question papers. We then rewarded our tutors with a Tutor Appreciation trip to Potch Dam for a celebration of their hard work. This induction workshop introduced our current grade 11s to life-into-matric in 2018. The induction process included the pass requirements for each of these levels (Higher Certificate, Diploma and Bachelor); the prerequisites for tertiary enrolment, NBTs and many more. 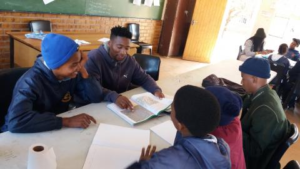 Furthermore during the session, learners were taught to calculate for themselves their matric pass type using mock academic reports so they could be aware of their term 3 pass status. Facilitated by our volunteer, Thenjiwe Gazi, the branch hosted a Subject Selection workshop for Grade 9s. The workshop included psychometric assessment of personality, aptitude and interests. Followed by an online written report of the results, recommendations and individual feedback sessions. The learners were also made aware of the impact that their subject choice may have on future career prospects. 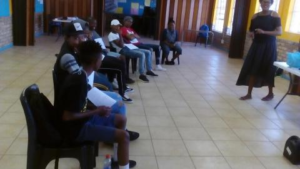 When the final exams for matrics officially began, our mentors from SALT organisation lunched with our matriculants offering psychosocial support. The session focused on the importance of a balanced mental and emotional state for building resilience during exam times, to ascertain that stress and anxiety do not derail the efforts of our current Grade 12’s. 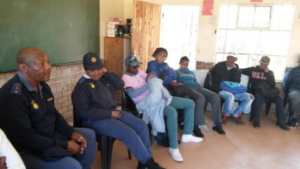 We are thankful that our learners gave positive feedback of the session. The branch continually strengthens relationship with the Bokone Bophirima Department of Education and Sports Development. On the 25th November, we are greatly honoured by the attendance of the DoE official Mr Tyatya who shared words of wisdom particularly to the matriculants for their final examinations. Also on the 20th October, DoE cordially invited both the Ikageng and Mahikeng branches to the launch of the Tsetsepela Morutwana campaign and the Annual Provincial Prayer for 2017 in support of learners as they write their final examinations. IkamvaYouth delivered the Candle Lighting speech. On the next day, we were also invited to the celebration of 2017 (Provincial) National Teaching Awards of winners proceeding to the National awards in 2018. We are committed to building partnerships with multifaceted stakeholders in improving our learner’s academic achievements, and making the tertiary/post-matric placements possible. We hope all participants will consider joining us again in celebrating our Matric Results Day hosted at our branch on the 20th January 2018. 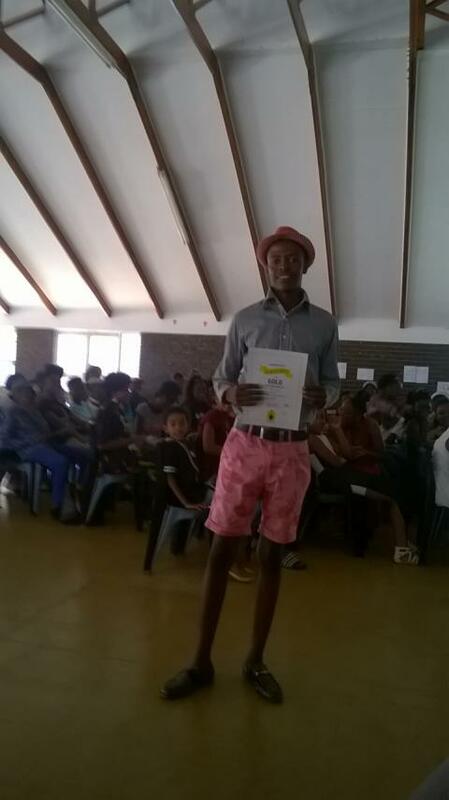 Each year, IkamvaYouth Mahikeng takes over the Danville Secondary School hall to end the year with a Prizegiving event. This is a celebration of the learners’ achievements and efforts across a wide range of disciplines, improvement and academics. Compared to last year, the branch experienced a full house,with the occasional tissue required at times! “Our dear parents, tutors and fellow Ikamvanites. It is with great honor that I am standing in front of you today to express my gratitude to our IkamvaYouth tutors and staff. I always come to the branch with the excitement and with the hope that I will be assisted. Tutoring sessions are never disappointing to me. 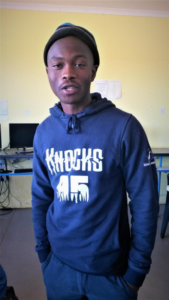 We have committed tutors who always go an extra mile to assist us- the learners”. 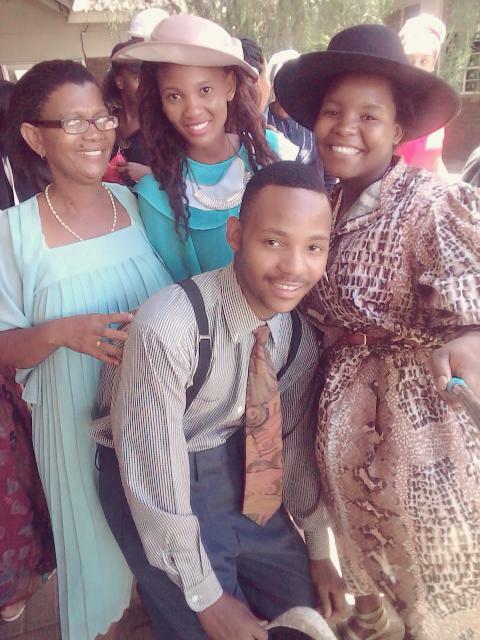 Dressed in Vintage, one learner was voted dressed for the day by the parents. Ontlametse Banda, who was looking splendid received a breakfast voucher from Wimpy to use during the December holidays. 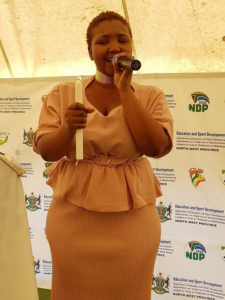 Amongst the other things, Refilwe Botipeng, a Grade 10 learner from Danville Secondary received the “Learner of the year” award. The decision was based on among others, her behaviour and manner; always arriving at the branch on time; always striving to speak English and respect on a broad scale- respecting the learners, tutors and staff. She hands in her term report without a push, and on time and practices peer-to-peer support to the fellow Ikamvanites. The Programme Coordinator, Bonolo Thebe, thanked the amazing tutors who so generously and willingly have given up their time to ensure the marks of the learners improve. She also thanked the stakeholders and parents for their support, as well as the learners for their commitment. 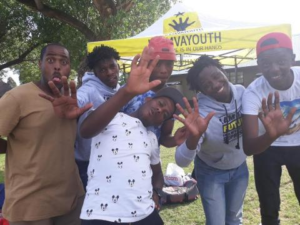 Bonolo ended off by wishing learners happy holidays hoped to see them next year with tons of energy.